Participating in research gives students first-hand experience of a potential career path and provides graduate students and postdocs with important mentoring opportunities. James Ankrum is an assistant professor of biomedical engineering at the University of Iowa, Iowa City, where he leads a lab working at the interface of cell therapy and biomaterials. In the past decade, I’ve mentored 18 undergraduates in my laboratory, with the majority of them going on to pursue graduate degrees in STEM fields (science, technology, engineering or mathematics) and co-authoring papers. 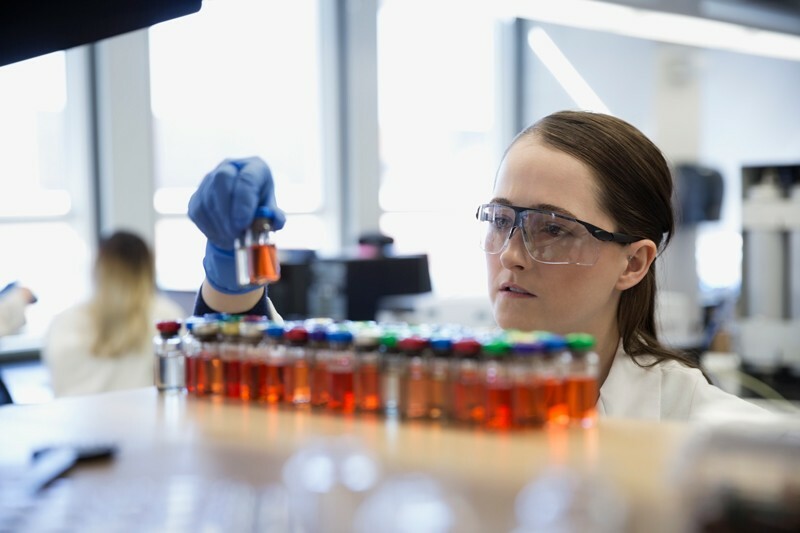 Nearly every tier 1 research university in the United States has an undergraduate research programme, and uptake exceeds 90% at some institutions, including the Massachusetts Institute of Technology in Cambridge. Students in these programmes are a valuable resource for research labs and vice versa. Although beneficial to the lab overall, mentoring undergraduates requires investment in education and technical training. Adapting from lectures to life in a research lab is an abrupt transition, and is one that students and mentors should be prepared to navigate together. 1. Perform without understanding. “What should I do today?” is perhaps the most common question that new students ask their lab mentor. Finding themselves in an unfamiliar arena, students are eager to ‘do’, but don’t yet know what needs to be done. With training, students can undertake lab work, but they often don’t understand what a particular experiment is actually doing, why it is being done or how it fits into the larger project. A tell-tale sign that students are in this stage is if they finish one piece of work, but struggle to look beyond that to find the next task. 2. Perform with understanding. My first research adviser told me to learn one thing better than anyone else in the lab can, and it is still sound advice today. Students who become experts in something support the lab’s mission in a very tangible way. These are the students that labs want to keep, because they are an integral part of the team. They have input beyond the bench, providing insight into experimental limitations and interpreting the results. This helps to foster a sense of involvement in the team, and can lead to students becoming co-authors on resulting manuscripts. 3. Student researcher. As students grow into researchers, they gain understanding of the subject matter and experimental techniques, allowing them to develop a unique perspective on research topics. Students at this stage think like researchers: they formulate new questions and hypotheses and plan new experiments to test them. This is the stage at which they contribute most significantly to the lab’s mission and are able to tell the story of the whole lab’s work, not just their own. For most, this mindset matures in graduate school, but it is never too early to cultivate the curiosity of students. To move through these stages, students must not only focus on picking up technical skills, but should also embrace the softer skills that are useful in every aspect of work as a researcher, such as learning how to work effectively as a team member. When things get busy, or something more appealing comes along, students often become less available, which makes it hard for them to conduct their research in a timely manner. Mentors should make it clear that students are part of a team that is dependent on each member fulfilling their role. To be dependable, students should be realistic when making time commitments to the lab, and they should stick to their agreed schedule, keeping in mind their other commitments and the time-sensitive nature of some tasks. Knowing that a student doesn’t have the capacity to conduct independent experiments allows mentors to get other colleagues to fill that gap. Introducing students to project-management systems such as Trello or Slack provides invaluable insight into how lab staff members plan and organize their work. This ties in well with fostering a good work–life balance, and mentors should be leading by example in this area. Although high-achieving students might seem happy to spend every waking hour at the bench, we all know it leads to burnout. We need to encourage students to develop healthy habits early in their careers. This will lead to more-productive scientists in the future. While useful for advancing the mission of the lab, undergraduates must be treated as students first and researchers second. They will need extra support and cannot be used as only a set of extra hands at the cost of their personal development. Initially, students see productivity as doing something with their hands or collecting new data. But much of the growth into a fully fledged researcher occurs during ‘down time’, when the mind has room to plan and read, and construct new hypotheses. Planning and creating space to think deeply are underutilized activities that are crucial to running clean, robust experiments. Getting into the habit of reading the literature is difficult, and learning to read critically is even harder. Today, there is a seemingly endless supply of papers for potential reading, with thousands of new articles published every day. This can be daunting for students and mentors alike. Budding scientists must first learn how to find papers that are relevant to their research, and then learn to analyse those papers critically. Initially, many students believe everything they read. As they develop, they learn to identify flaws and limitations. Eventually, they can see a study’s limitations while still gaining some insight. Learning to read critically takes practice and is aided by mentorship and journal clubs with peers who are at different stages of development. In my lab, all members take turns leading journal clubs, which are a great way for new students to see more-experienced undergraduates evaluating a complex research paper, and to be inspired by what they could achieve during their time in the lab. A good researcher plans many moves ahead. Planning experiments in advance ensures that all tools, study subjects, chemicals and samples will be available in sufficient quantity. Letting students order their own supplies can encourage independence and develop project-management skills. Whether this is feasible will depend on the lab set-up, but if it is possible, students may well become more invested in the success of each experiment. The current reproducibility crisis has spurred demands for more rigour and reproducibility in experimental planning and the open sharing of raw data. These demands can be met only if careful records of methods and samples are made by those working at the bench. Unlike lecture or seminar notes, which need be legible only to the student, record-keeping in the lab needs to be robust, and usable by others for years to come. Whatever the method of record-keeping, all data sources, sample identities and methods need to be fully accounted for if they are to be used in a publication. In science, being ‘pretty sure’ about such things isn’t acceptable and can lead to the costly rework or false labelling of data. Scientists should nurture a robust record-keeping system and culture. Mentoring represents fantastic opportunities for both parties to have an impact on research. For mentors, it is a chance to reflect on your own development as a scientist and on all the people who invested in you. By using the development processes outlined here and in other resources, you can identify what stage your students are at. This will help you to develop their skills and thinking, eventually enabling them to be better researchers. For students, becoming aware of your own stage of development will enable you to set goals and seek guidance from mentors and peers to make the most of your time in the lab. Students might be at different stages for different tasks, but do not fear — most students will accelerate through the stages as they develop the tactics to master new skills. Inspiring and investing in students pays dividends for the lab and the scientific community as a whole. This is an article from the Nature Careers Community, a place for Nature readers to share their professional experiences and advice. Guest posts are encouraged. You can get in touch with the editor at naturejobseditor@nature.com.